Arrive Yangon International Airport(Morning Flight).Welcome by our English speaking guide and transfer to hotel check in . Start to visit in the city tour including Shwedagone Pagoda(is the also known to the Buddhist world as the first pagoda on earth),Sule(is the landmark of the heart of Yangon),Bogyoke Market (in the downtown area,with hundreds of stors selling from lacquer ware to silk) and then working tour in the Colonial downtown of Yangon.Over night at Hotel Yangon. After breakfast at the Hotel, depart for Bagan by morning flight. Arrive at the Nyaung U airport and then transfer to hotel. Bagan was known as Pagan in the past. 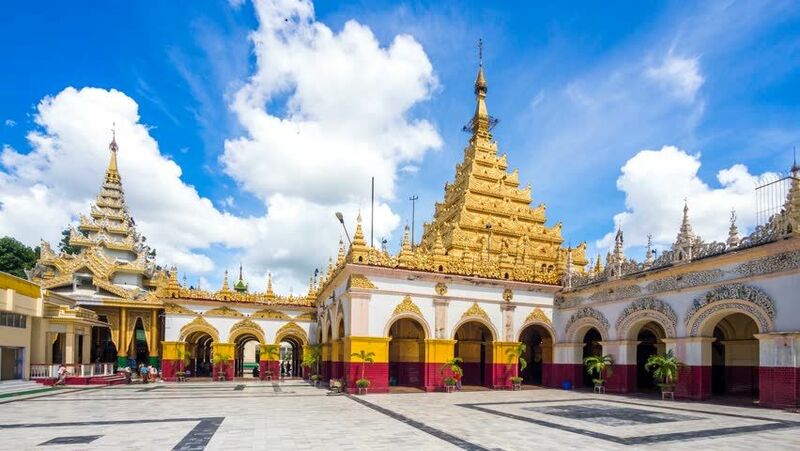 Start a visit to Nyaung-U local market, and continue to visit the most famous pagodas and temples including Shwezigon Pagoda built in 1102 AD. It began during the reign of King Anawrahta. Afterward, head to Gupyaukgyi Temple which stands close to the Mya Zedi Temple near the Minkaba Village. This Mya Zedi Temple was built in AD.1113 by prince Yaza Kumaya. And then, head to Htilominlo Temple built by King Nantaungmya in AD 1218. It is learnt that this temple is the last Myanmar style temple in Bagan. 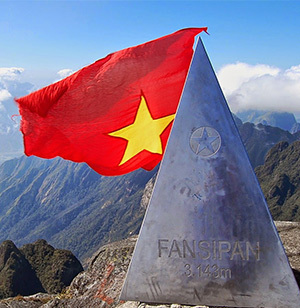 After visiting these pagodas, enjoy your lunch at a local restaurant. And then, visit an interesting lacquerware work shop to learn about the fascinating technique of this handicraft. Watch a beautiful sunset over Bagan from a temple. Stay overnight at the Hotel. After breakfast, transfer to Mandalay airport for a domestic flight to HEHO. 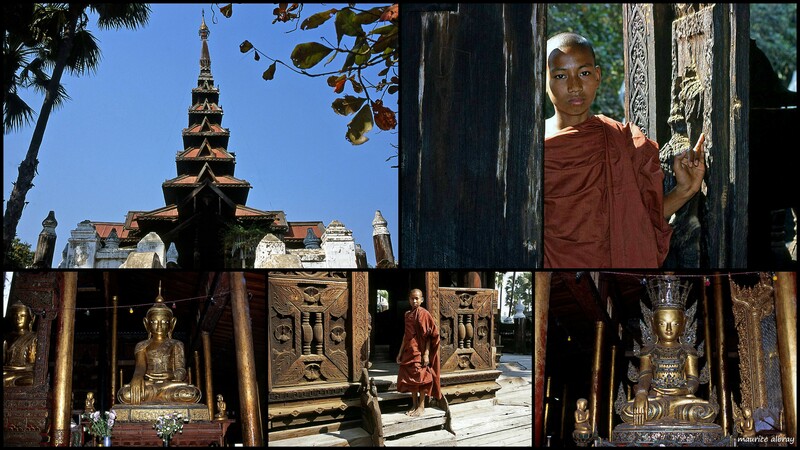 Arrive Nyaungshwe and process to the Inle lake by local boat and Proceed to visit Phaung Daw Oo Pagoda. 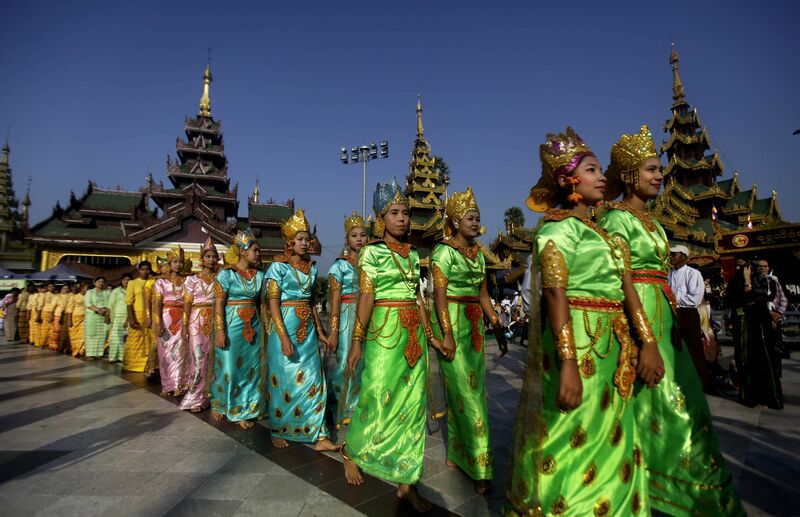 This pagoda festival is one of the largest Buddhist festivals in Myanmar. It is held in between September and October. Floating Marketing Villages & Gardens, traditional handicrafts-silk weaving on wooden handlooms and a blacksmith shop. Transfer to the hotel and stay overnight at hotel. After breakfast, drive to Amarapura, visit a bridge, called U Bein which belongs to 1782 recuperated from the waste of an abandoned palace totally in teak wood accredited to the achievement of the mayor U Bein. Then extend to Mahagandayone, a monastery with high reputation consists of more than a thousand of monks can be seen at the same time while they have their first meal of the day. 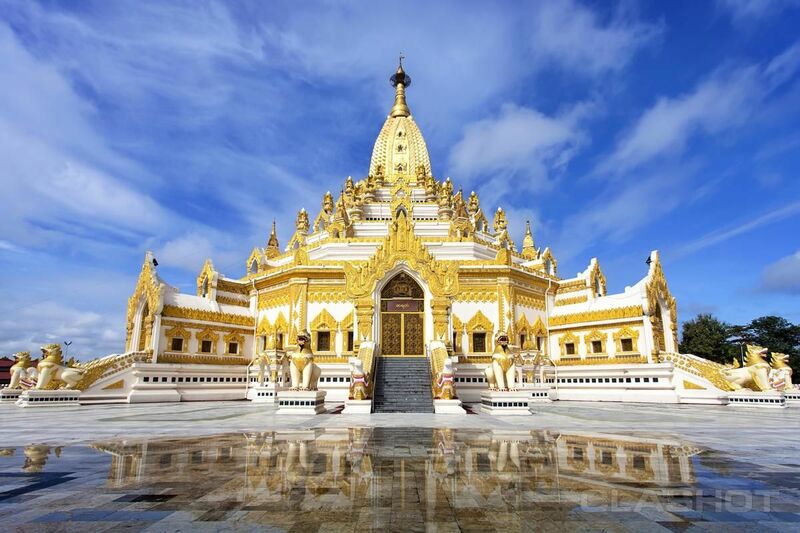 Visit Mahamuni Pagoda with its spectacular Buddha image. Wood and Stone carvings, gold leaf beating workshop, ShweKyaung (golden palace monastery), Kuthodaw Pagoda which is famous as the World's Biggest Book.By visiting the Shwe Nan Daw Kyaung wooden monastery in teak wood standing to witness the durability of teak and the carving of the 19th century is still with totally traditional Myanmar style. Stay overnight in Mandalay. 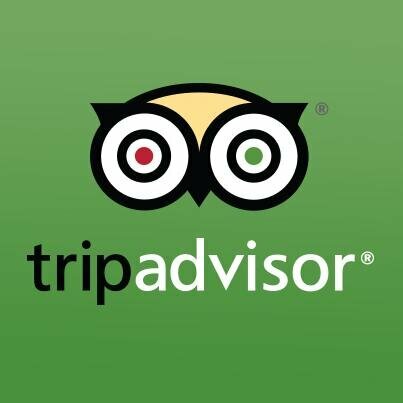 After breakfast at the hotel, take leisure time before leaving for the airport. Then, transfer to the Mandalay International Airport for return flight.